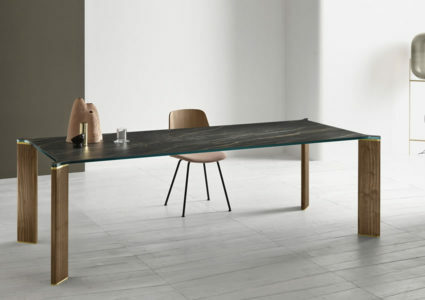 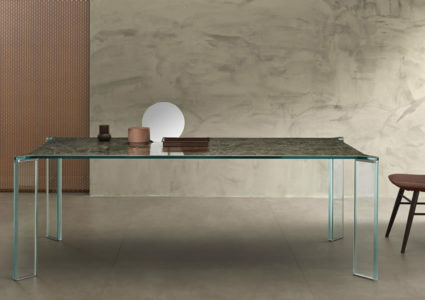 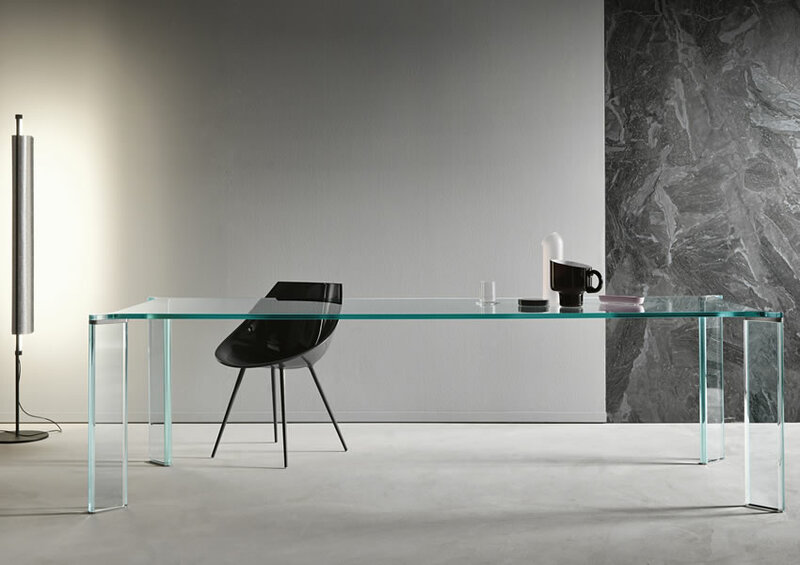 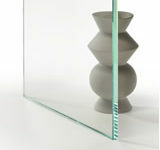 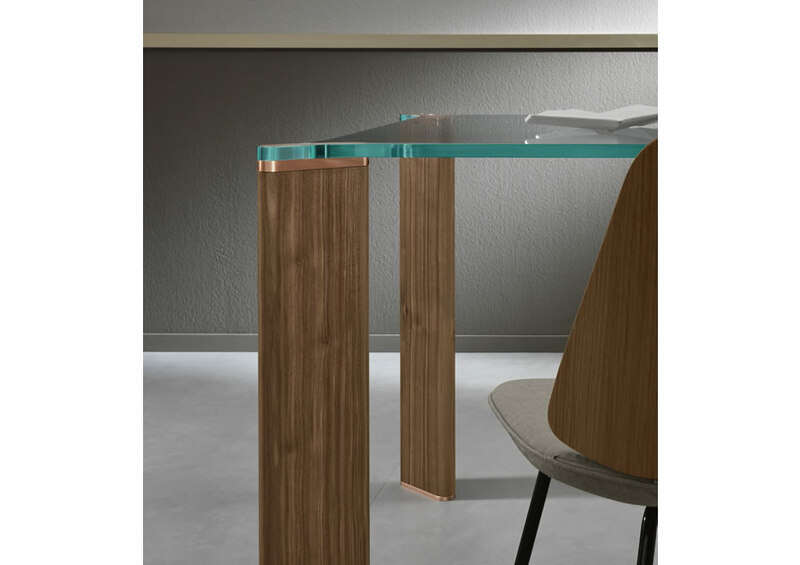 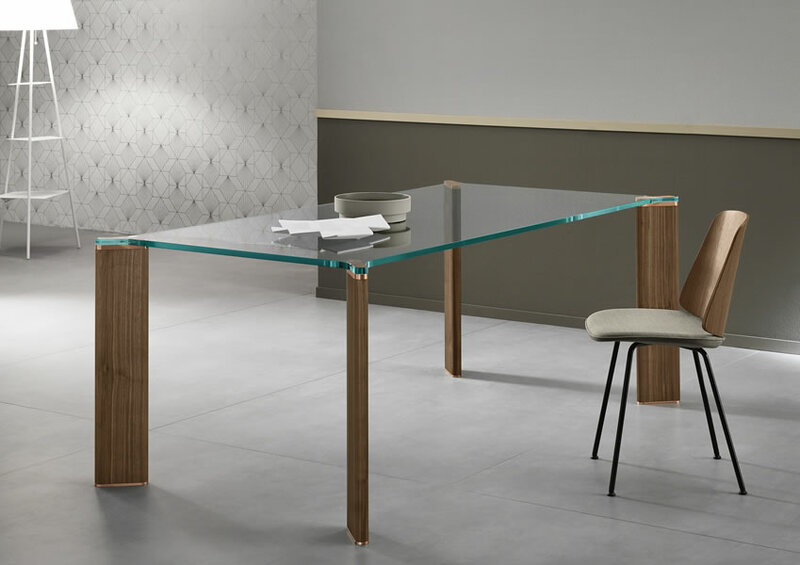 Dining table in stratified glass or ceramic, where the legs define the table top’s form. 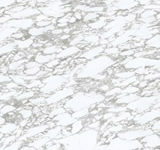 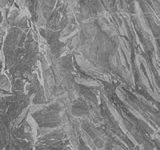 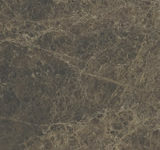 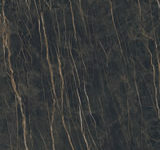 The top in stratified ceramic can be in several matt or polished finishes. 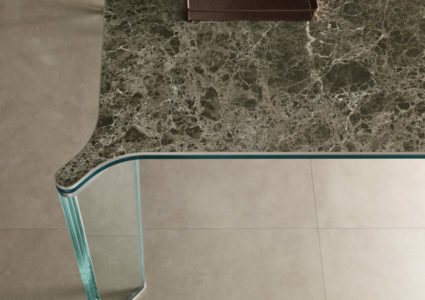 Metal joints between legs and top are available in stainless steel, brass or cupper. 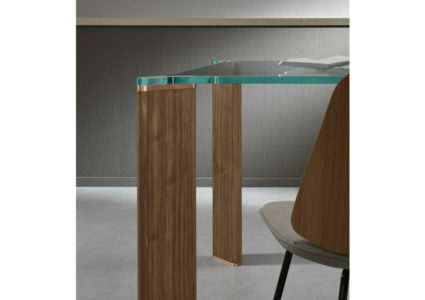 Legs in 40mm glass or walnut canaletto.